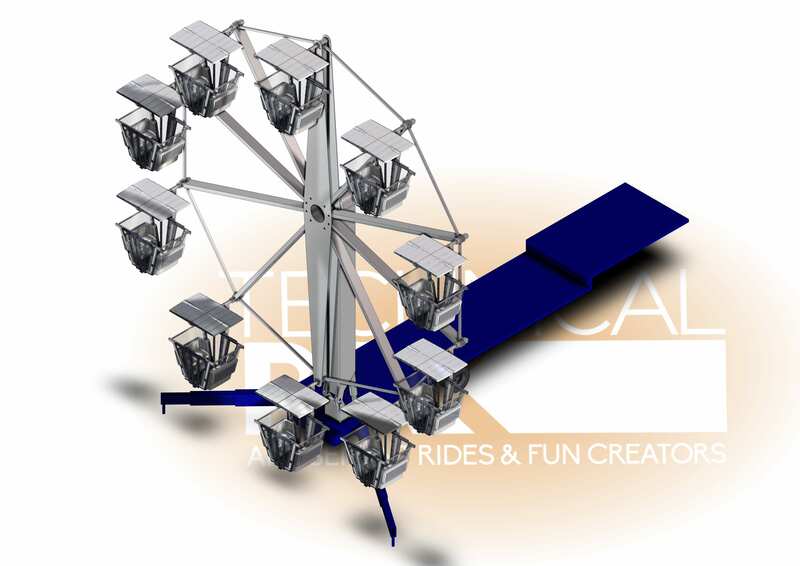 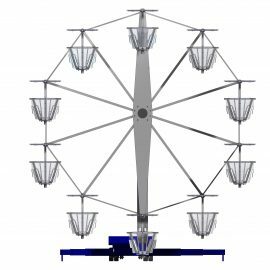 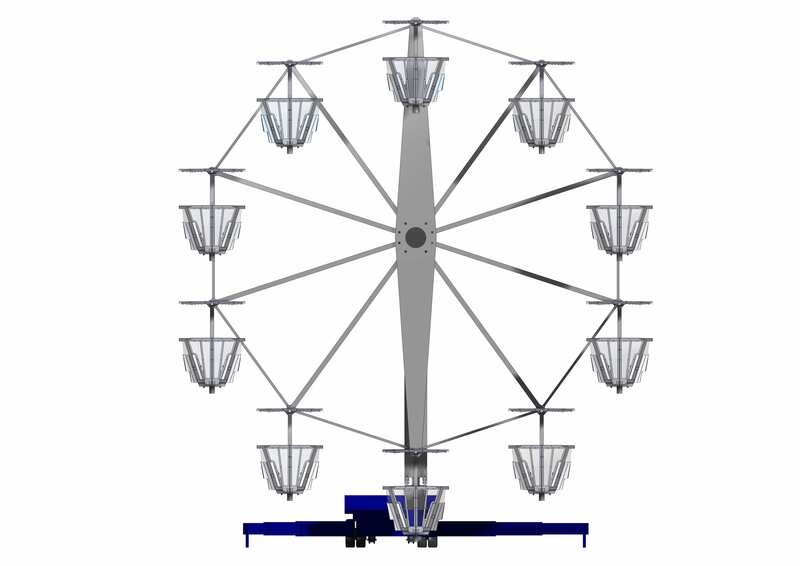 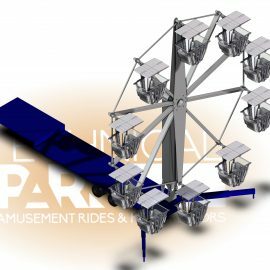 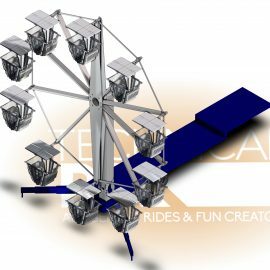 This is a new project for a multi purpose Ferris wheel, suitable for traveling funfairs (build up in just a couple of hours!) 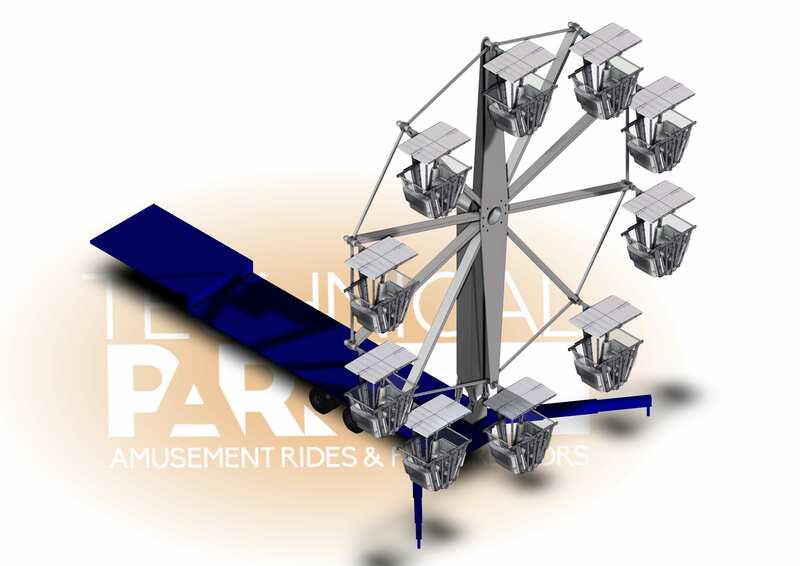 and small parks as well. 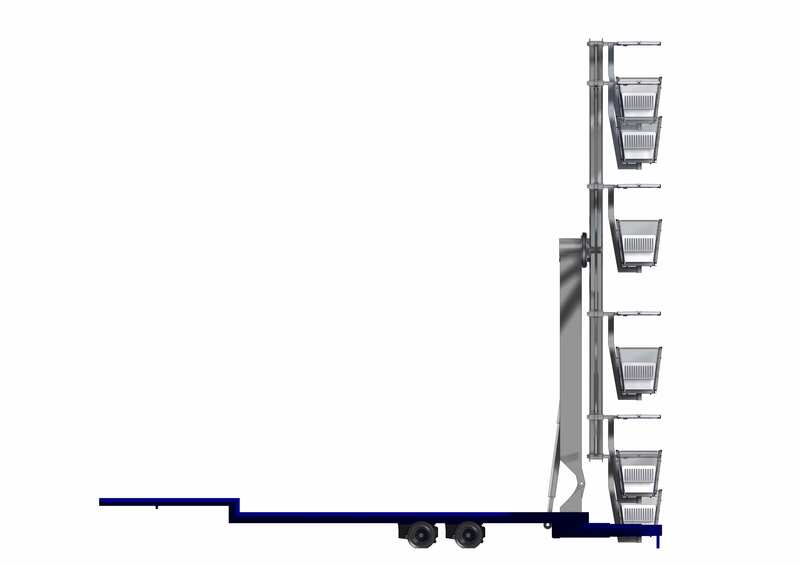 A new business idea for party rentals and small events, trailer mounted version very fair to be open and closed for one day deals. 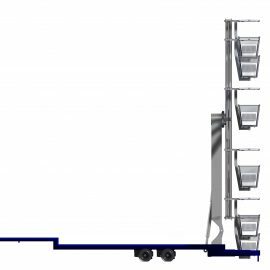 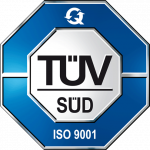 The same single arm structure is suitable for permanent installations where the area is a critical limitation: with self standing or bolted anchoring on concrete.